Laws concerning the recording of Idaho marriages date back to the first Territorial Legislative Assembly in 1864, but most marriages were not recorded. Records from 1864-1895 are located at the county courthouse or on microfilm, with marriages through the 1930s in a "Western States Historical Marriage Record Index" available online at the Brigham Young University-Idaho website. The first Territorial Legislative Assembly also provided that district courts had jurisdiction over divorce cases in 1864; they were considered to be civil cases. 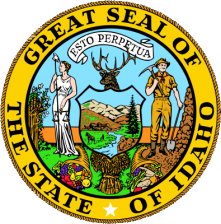 Statewide recording of the Idaho vital records for marriages and divorces was initiated in May 1947 through the Bureau of Vital Records and Health Statistics. Idaho marriage records and Idaho divorce records are also subject to strict privacy laws, considered legally confidential for 50 years. Certified copies can be acquired by mail from the Bureau of Vital Records or by fax/online through VitalChek. Record Access Requirements: Records are confidential for 50 years. Only immediate family members and legal representatives may obtain recent records, others may obtain records with a notarized release from a family member or person of record. Note: This agency only maintains certificates of divorce; copies of decrees are available through the court system. Record Access Requirements: Records are confidential for 50 years and are available only to immediate family members, legal representatives, and a person with a notarized signed release from persons of record or immediate family. Note: For tribal court information, visit www.isc.idaho.gov/tribalmn.htm. Note: A signed release is not required, but suggested; see below. Search Note: Fingerprint searches take 1-3 days. 100% of records are fingerprint-supported.